Interactive Diversity Solutions brings together social science, art and technology to get people thinking and talking about diversity and inclusion in an entirely new way. We engage audiences with fascinating research and innovative digital tools to effectively reduce bias and foster inclusion in places of work and learning. 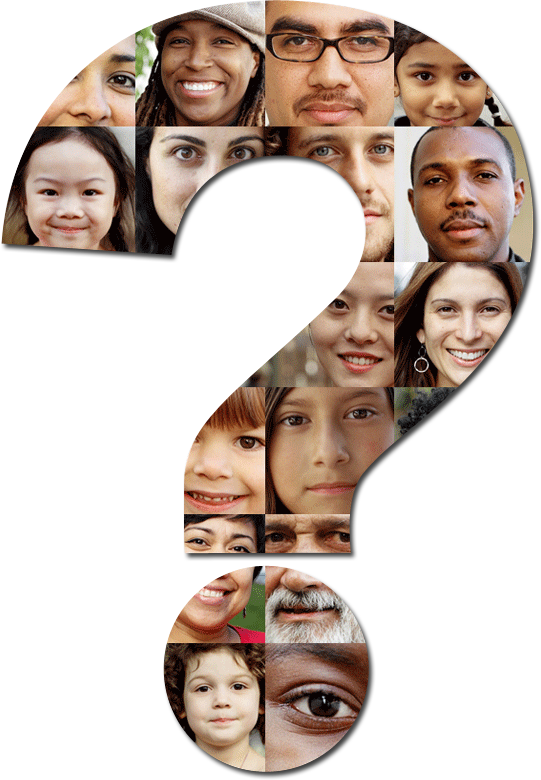 Our products and services are developed by Dr. Michael Baran, cultural anthropologist, after twenty years of experience researching, teaching, presenting and consulting on race and diversity issues around the world. They foster a deep critical thinking perspective on complex issues, including implicit bias, structural inequality, inclusion in the workplace and schools, identity construction, microaggressions, and cultural competence. 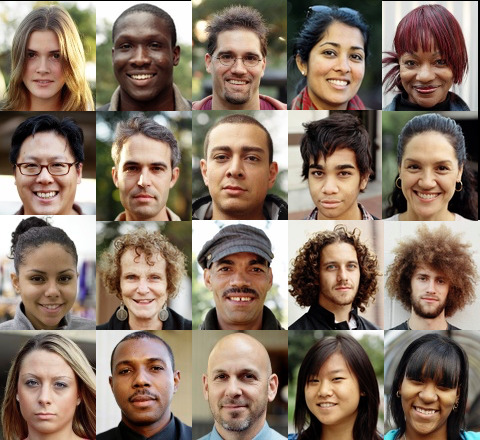 Created by diversity/inclusion expert and cultural anthropologist, Dr. Michael Baran, this on-line program draws on the latest social science research to explain implicit bias in a unique and engaging way. The program focuses on concrete solutions and includes an interactive activity - with photographs and quotes from real people - to reduce bias, to spark productive conversations about sensitive topics, and to build an inclusive culture for working and learning. 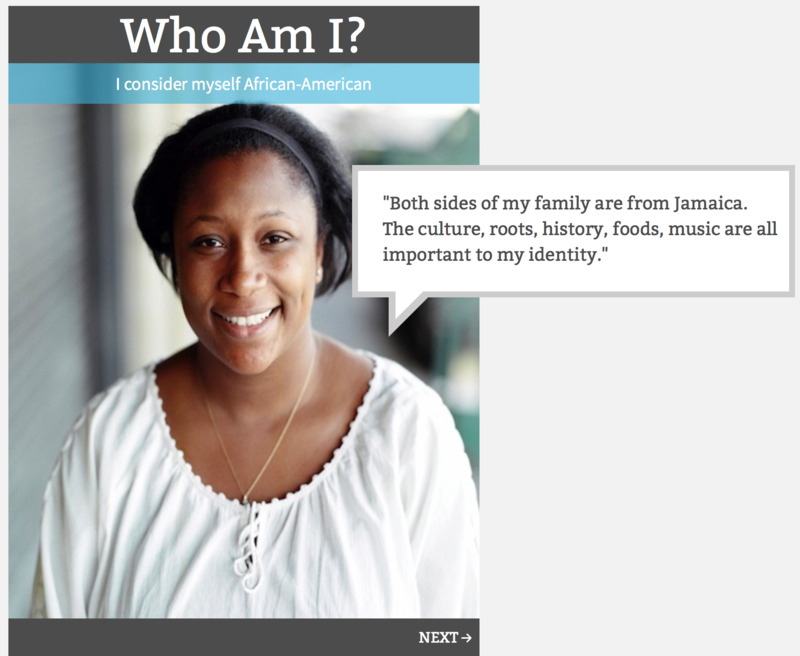 An interactive web-based program that makes learning about race and diversity fun, educational and meaningful to everyday life while also effectively reducing bias and sparking courageous conversations. It has been played by hundreds of thousands of people in businesses and schools throughout the country. 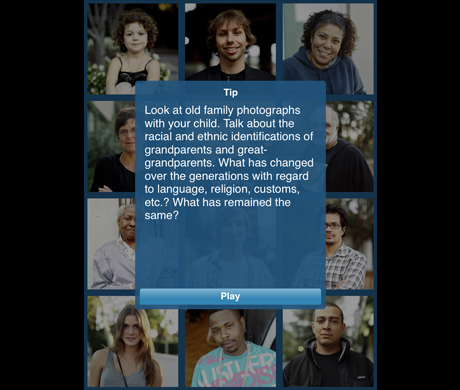 A fun two-player guessing game designed to stimulate a productive dialogue between adults/educators and children regarding the complex and sensitive issues of race and ethnicity. Named as one of the top 100 educational products by Common Sense Media. This Alexa app provides concrete daily actions you can take in a realistic way to reduce implicit bias. Although it's geared toward reducing your bias at work, if you put in the time, it will have rippling benefits throughout all the contexts of your life. This Alexa app offers up daily ideas to help adults (parents, guardians, teachers and others) start conversations with children to reduce or even prevent bias from forming. Speaker Services: Dr. Baran, cultural anthropologist and President of IDS, has spoken on race and diversity issues throughout the country and the world. He has presented to representatives from corporations (such as Boeing, Alaska Air, Costco, and Starbucks), schools (ranging from Harvard University to high schools and middle schools) and foundations/non-profits (such as MacArthur Foundation, National Human Services Assembly and Transform Justice). Recent speaking topics include: Reducing Implicit Bias Through Social Science, Flipping the Classroom on Race and Diversity, Multiple and Complex Identities in Times of Disruptive Change, Creating Inclusive Spaces: New Ways to Think and Talk about Race and Diversity. Workshops: In addition to speaking services, experienced facilitator Dr. Baran can lead smaller group discussions. These sessions will be highly interactive and designed to spark conversation, bring people together and increase inclusion in both work and learning environments. Workshop topics can be tailored to provide the learning experience your organization is seeking. Workshops can be given to everyone in an organization or for specific groups such as employee resource groups, leadership teams, diversity officers, recruiters, human resources, etc. Train-the-Trainer: If an organization prefers to facilitate its own workshops internally, Dr. Baran can conduct train-the-trainer workshops, working specifically with the diversity team, the HR leadership and/or the learning and development team to provide interactive activities and lessons from the social sciences that can be applied to the workplace to reduce bias and increase inclusion. Interactive Digital eLearning Programs: Our eLearning programs cover key topics that promote inclusive and respectful workplace environments in an engaging and educational way. They are backed by the latest social science research and customizable to meet the needs of any organization. Programs can be used as self-contained compliance modules for new and existing employees, or as pre-work and/or follow-up for in-person learning experiences. In all my years I have yet to see a tool with as much potential to change the way people think about diversity and which also allows people to have those courageous conversations that need to happen. What works so well about the (Don’t) Guess My Race diversity program is that it’s very easy for employees to use—it’s fun and interesting, done on their own time and pace. But what really excites me, as opposed to other diversity initiatives, is that this one actually has the potential to impact how employees view and talk about race and diversity issues. It opens up great conversations and raises issues around implicit bias. (Don’t) Guess My Race is really going to make a difference to any company looking to not just avoid problems around diversity (though it will accomplish this as well), but to strive towards an inclusive and diverse company culture. The game was incredibly effective at unsettling students’ understandings of race and pushing them to think more deeply at how racialization works. It’s engaging and effective. By combining gaming, art, the participants own poignant words, and bite-sized nuggets of anthropological insight into how race developed—or rather how we developed it, Baran is turning a conversation stopper into a conversation starter. Michael Baran is a cultural anthropologist with more than twenty years experience conducting and organizing ethnographic research for social change on a variety of issues, including race and identity, racial disparities in education, violence against children, healthy housing, environmental health, human services, criminal justice reform, immigration reform, climate change, and early childhood development. Dr. Baran has conducted research domestically and internationally, most extensively in Brazil, Guatemala, South Africa, the United Kingdom, Canada and Haiti. He currently consults for businesses, schools and non-profits on issues related to diversity and inclusion, often incorporating the digital tools developed at Interactive Diversity Solutions as part of a blended approach. In this capacity, he has presented on diversity and inclusion issues to representatives from companies such as Starbucks, Boeing, Nordstrom and Costco. He has been quoted or featured in numerous articles on race in the media from sources such as the New York Times, the Boston Globe, Slate, Wired Magazine, CNN, CBS Evening News with Katie Couric and others. In addition to his IDS work, he has taught courses on race and identity, Latin America, child development, expository writing and research methodology at Harvard University and the University of Michigan. 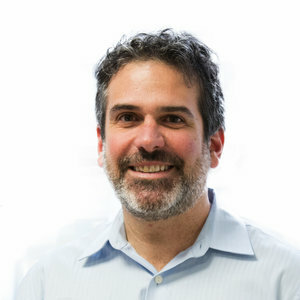 He has worked as Associate Director at the FrameWorks Institute and currently works as a Principal Researcher at the American Institutes of Research. In that capacity, he manages the community-based research on a USAID-funded project aimed to leverage deep foundational research to better inform interventions and communications to reduce violence against children in Haiti. In this project and others, Baran builds capacity with teams of local researchers to conduct culturally relevant research and to support the long-term sustainability of multi-year, multi-method projects with previous funders including the MacArthur Foundation, the National Science Foundation, the Harvard Center on the Developing Child, UNICEF and the Bernard van Leer Foundation. Dr. Baran received his B.A. from Emory University and his M.A. and Ph.D. in anthropology with a certificate in ‘Culture and Cognition’ from the University of Michigan. He is fluent in Spanish and Portuguese and is learning Haitian Creole. Michael Handelman has been creating educational interactive multi-media for the past 15 years. He has produced over 100 products (apps, software titles, toys, video game platforms, MMOs) with combined sales of over 40 million units. Many of these products have won awards such as the Educational Toy of the Year, Parents' Choice Gold Seal and Common Sense Media’s top 100 educational programs. Handelman has led efforts to design new approaches to teaching phonics, math and social emotional curriculum to young children. He has developed innovative interactive play patterns, several of which are patented. Handelman also has created game design templates that led to cost and budget reductions of over 35%, as well as standards and guidelines for a variety of educational software platforms. Recognized as a leader in the field, he has presented at several conferences including the Austin Game Developer’s Conference. In addition to his work at IDS, Handelman currently consults and contracts with leading educational and game publishers such as Hasbro, Mattel, Houghton Mifflin and LeapFrog. He also advices companies, such as PBS Kids, around their childrens’ digital strategy and best practices for designing educational experiences. 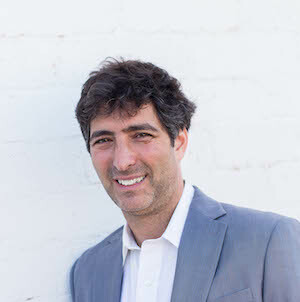 Handelman has previously worked as an interactive producer for LeapFrog, and Director of Content and Co-Founder of an educational games start-up company. Handelman received his B.A. from Emory University and his M.A. in psychology from Alliant University. Officer Willard McIntosh, Jr. is a Consultant at Interactive Diversity Solutions. After serving in the United States Air Force, he has worked for 29 years in the Columbus Police Department. In this department, he has occupied various positions, including his current position in the Court Liaison Unit. In addition to his work in the Columbus Police Department, for the past 10 years he has worked as a Diversity and Inclusion facilitator. He designs and conducts trainings on the topics of bias, cultural competence, and workplace culture. While he facilitates trainings for a wide variety of audiences, he specializes in curriculum design and workshop facilitation for police departments. Because of his extensive experience as an Officer, he is able to maximize the relevance of diversity and inclusion topics for the work of police officers, and he is able to communicate effectively for those audiences. Officer McIntosh was born and raised in Columbus, OH and was one of the many children who were affected by the 1979 school desegregation of Columbus Public Schools. He has been married for 27 years, and he has three children and three grandchildren. 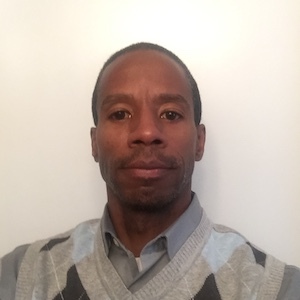 Effenus Henderson is an Advisor at Interactive Diversity Solutions. He is also President and CEO of HenderWorks, Inc. and Co-Director of the Institute for Sustainable Diversity and Inclusion. He served as Chief Diversity Officer for Weyerhaeuser Company, Federal Way, Washington until his retirement in December 2013. In this role he advised the CEO and senior management team on diversity, inclusion and affirmative action related matters. He has over 40 years of experience in a variety of human resources roles and responsibilities. He is an internationally recognized diversity thought leader and has been invited by numerous companies and organizations to share his expertise. He has provided advisory support on diversity to the US Federal Government’s EPA office, Office of Personnel Management, US Forest Service, State Department and the USDA. He has addressed members of the General Assembly of the United Nations on intercultural and interreligious diversity, and also addressed a high level panel of the Alliance of Civilizations in Madrid, Spain in 2008, Istanbul Turkey in 2009, Rio de Janeiro, Brazil in 2010 and Doha, Qatar in 2011. He was a keynote speaker at the 9th and 10th Forum at Fez Morocco (2012, 2013) and at the 2nd World Forum on Intercultural Dialogue held in Baku, Azerbaijan (2013). He currently serves as a member of the Advisory Board of the Global Dialogue Foundation, located in Melbourne, Australia. He has served as Chair of the Diversity and Inclusion Standards Project sponsored by the Society of Human Resources which will lead to national standards, approved by American National Standards Institute (ANSI) in the areas of lead diversity professional competencies, diversity programs, and diversity metrics. In September 2016, he was named convener of the International Organization for Standardization's Technical Committee on Human Resources (TC 260), Working Group 8 to co-lead the development of global diversity and inclusion standards. He has served on numerous boards including the International Society of Diversity and Inclusion Professionals (ISDIP) where he is a member of the founding board, the National Urban League Board where he has served as a national trustee and president of the Council of Affiliate Board Members. He is also a past chair of the Attrition Retention Consortium, a national group studying turnover trends in Corporate America. 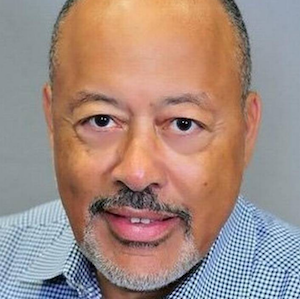 He has served as member of the Board of Advisors, School Business, Florida A&M University.